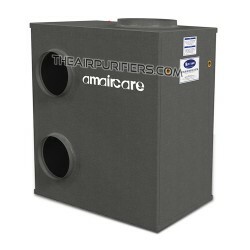 Amaircare 4000 HEPA CHEM has a similar purpose to the Amaircare 4000 VOC CHEM. 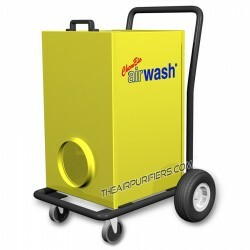 However, the Amaircare 4000 HEPA CHEM employs True HEPA and Carbon air filtration system which allows the Amaircare 4000 HEPA CHEM to target both solid and gaseous air pollutants and air contaminants, and effectively extract them at the source to help maintain Healthy and Safe working environment. 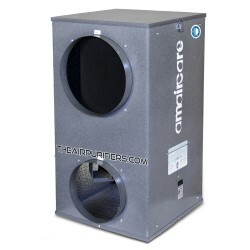 Amaircare 4000 HEPA CHEM Air purifier connects to the exhaust vent of a plotter, printer, 3D printer, laser engraving, laser cutting or any other device that releases harmful toxic fumes, using the 6-inch diameter flexible or rigid hose. 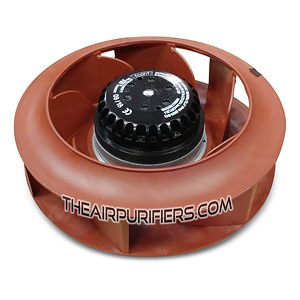 The Amaircare 4000 HEPA CHEM motor/fan creates a powerful suction that draws the toxic fumes and gases created in the process through the 4000 HEPA CHEM's air filtration system, where it is cleaned of all solid and gaseous air pollutant. 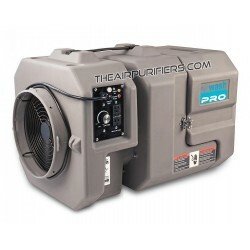 The purified air then vented out back into the room through four louvered vents located on four out of six sides of the air purifier lower deck. Amaircare 4000 HEPA CHEM - Where to Use ? 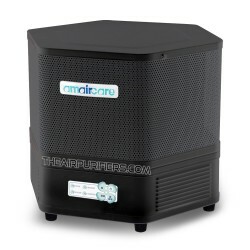 Amaircare 4000 HEPA CHEM air purifier should be used to purify the air from both - solid airborne contaminants and toxic chemicals at the same time and is perfect for creating the negative pressure rooms. 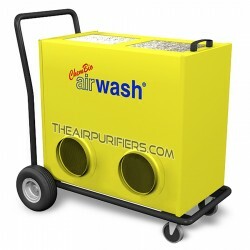 The AMAIRCARE 4000 VOC CHEM air purifier equipped with oversize Amaircare ULTRA VOC canister should be used instead of the Amaircare 4000 HEPA CHEM to achieve the Peak performance in Heavy Chemicals, Fumes and Toxic off-gassing removal. Amaircare 4000 HEPA CHEM - Benefits and Advantages. 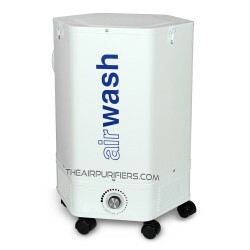 Provides extraction of both solid and gaseous air pollutants at a source before they spread out in the room. 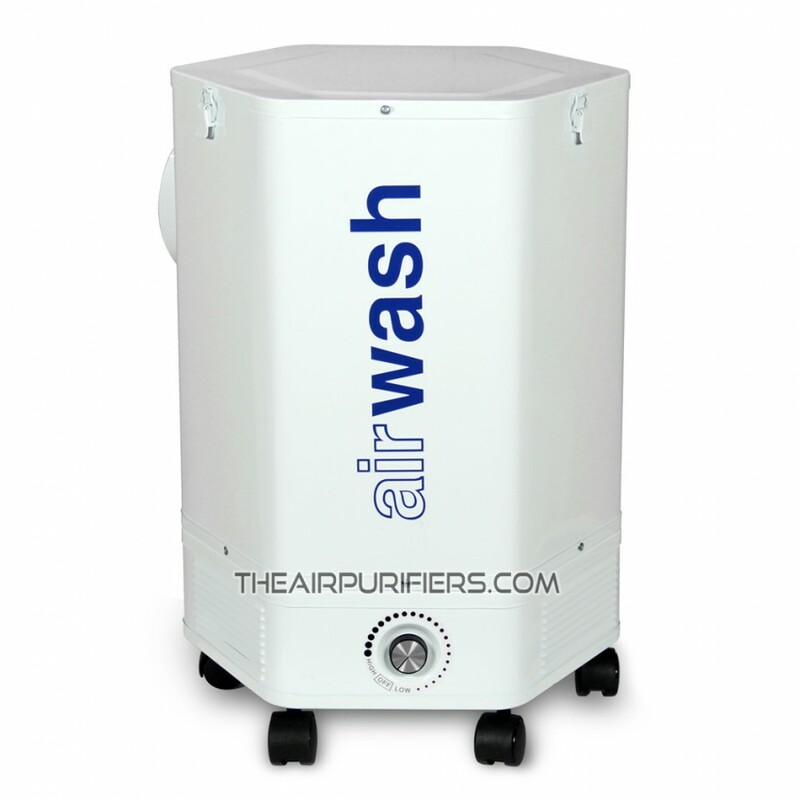 Cleans the air from solid and gas phase air contaminants and returns the purified air back into the room. Six swivel wheel casters on the bottom panel ensure a great level of stability, mobility and maneuverability. Amaircare 4000 HEPA CHEM doesn't require installation or a hard-wire connection as it plugs into an electric outlet. The Amaircare 4000 HEPA CHEM employs 3-Stage air filtration system. The foam pre-filter is a first stage of the air filtration system of Amaircare 4000 HEPA CHEM. The foam pre-filter wraps around the True HEPA filter. It captures large dust and dirt particles and helps protect fine True HEPA filter from fast contamination, while extending its lifetime. The foam pre-filter is washable and re-usable and has a life span of up to 12 months. 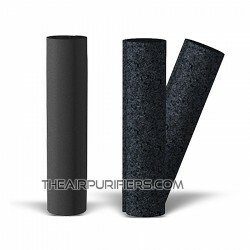 The non-woven activated carbon pre-filter can be used instead to boost the air filtration efficiency of the air purifier in removal of chemicals and gases. 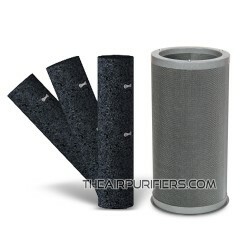 One replacement foam pre-filter is included with either Standard or Plus Annual Filter Kit. 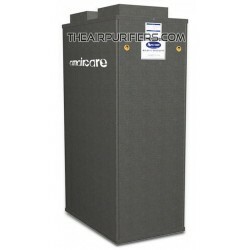 Large 16' tall Easy-Twist True HEPA filter is the Second stage of Amaircare 4000 HEPA CHEM air filtration system. 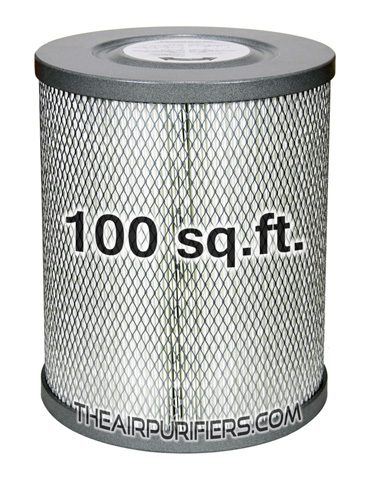 The HEPA filter contains a whopping 100 sq. ft. of 99.97% efficiency True HEPA filter media. Such a huge amount of HEPA media ensures an effective large-scale removal of all microscopic airborne contaminants, allergens and dust. The Easy-Twist HEPA filter features a 'Perfect Seal' filter design, which guarantees a 100% seal of the filter chamber and ensures that no polluted air by-passes the air filtration system. The True HEPA filter's lifetime - 3 to 5+ years. Amaircare 4000 HEPA CHEM offers a choice of carbon filters for various levels of chemical adsorption. The standard VOC Canister is a metal cartridge filled with 6 lbs (2.72 kg) of 100% granulated activated carbon. The VOC canister ensures an effective removal of VOCs, toxic fumes and high concentrations of other chemicals. A single VOC canister is included into Amaircare 4000 HEPA CHEM Plus Annual Filter Kit. The same VOC canister but filled with 6 lbs. (2.72 kg.) 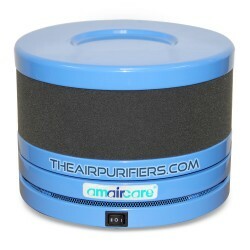 of Amaircare proprietary 'Formaldezorb' adsorbent helps significantly improve the ability of the Amaircare 4000 HEPA CHEM air purifier in removal of Formaldehyde, VOCs, pesticides, ammonia and other specific chemical substances. The single o-ring gasket is used with Easy-Twist HEPA filter to pressure seal the filter chamber. The vacuum seal gasket provides a 100% seal of the filter chamber and helps completely eliminate the polluted air by-pass. 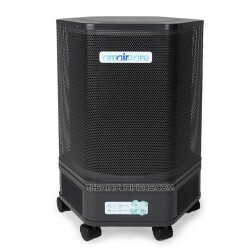 The Amaircare 4000 VOC CHEM air purifier employs a powerful thermally protected insulated motor with centrifugal fan rated at 300 CFM of delivered air flow. 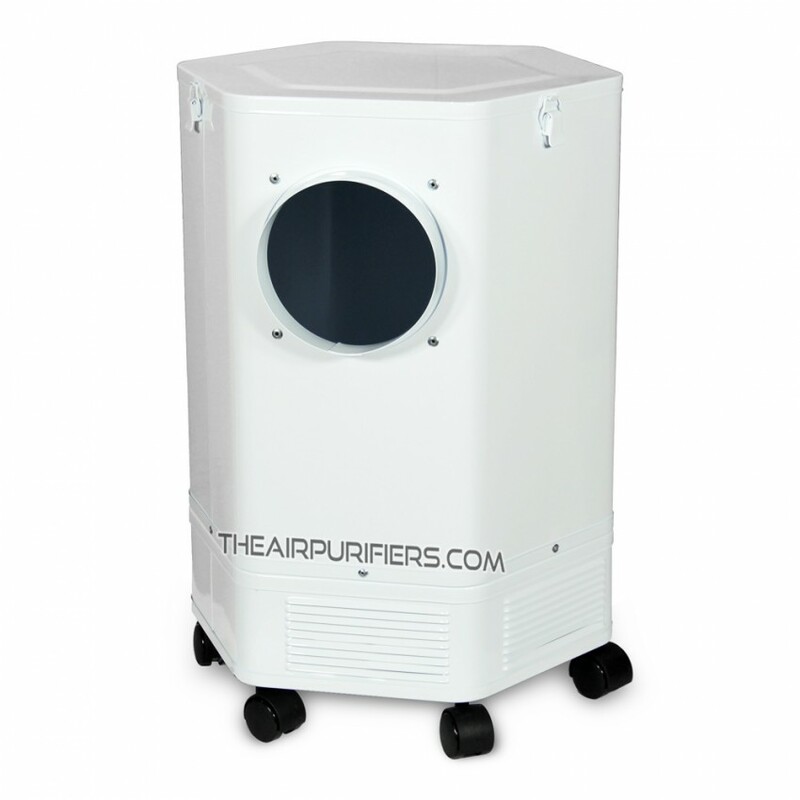 The Amaircare 4000 HEPA CHEM air purifier employs a variable rotary speed control with On/Off positions. It offers the countless number of speed settings and allows for a gradual change of delivered air flow from 50 to 300 CFM. Amaircare 4000 HEPA CHEM features the same durable, impact resistant the all steel housing design of Hexagonal shape made of 24 gauge cold rolled steel. 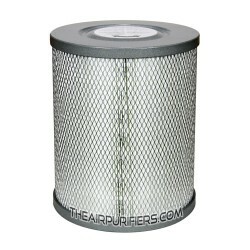 The Amaircare 4000 HEPA CHEM top-load design of the filter compartment makes the filter changing procedure fast and easy. 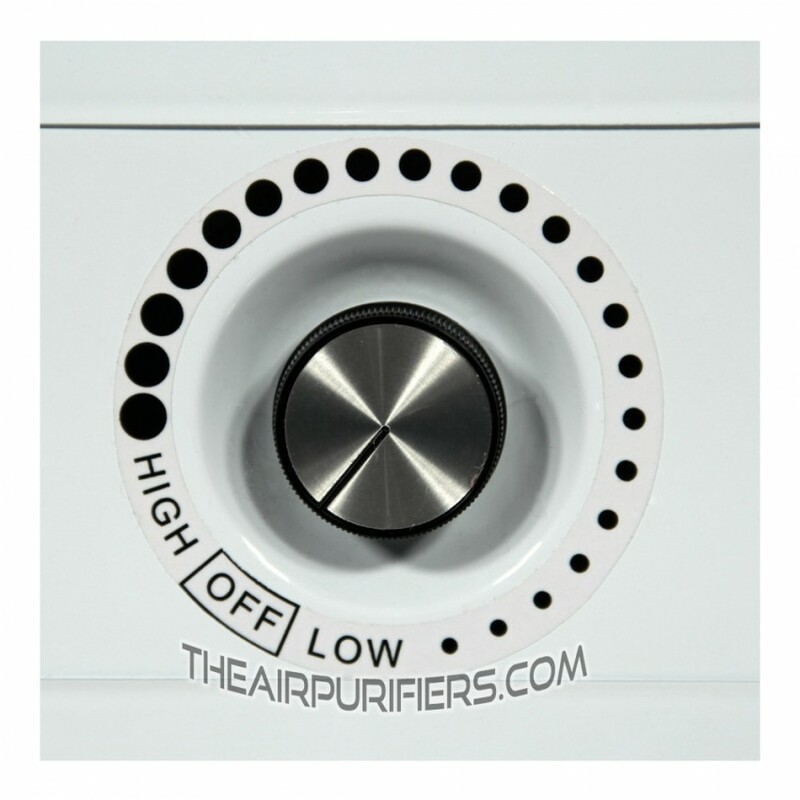 It doesn't require to flip a relatively heavy unit up-side-down to get access to the filter compartment, unlike in many other models of air purifiers on the market. This top-load filter chamber design is especially beneficial for elderly people or individuals with limited physical abilities. The appliance quality baked-on powder coating does not produce any toxic off gassing and is available in a clean looking White glossy color. 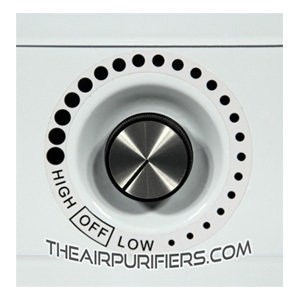 The purified air is vented out through clean air outlets / vents located on 4 out of 6 sides of the lower deck of the air purifier. 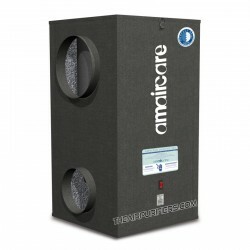 The Amaircare 4000 HEPA CHEM air purifier features the top panel with latches. 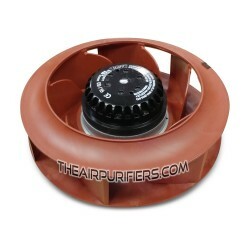 It allows for a quick access to the filter compartment and makes the filter replacing procedure simple and easy. The optional installation kit is available on demand (not included with the unit. Amaircare 4000 HEPA CHEM air purifier ships Free by UPS or FedEx Ground delivery services in Canada and the Continental USA. 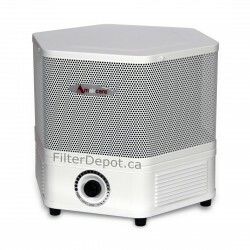 There are no additional charges or extra fees related to the border crossing shipments (if involved) of Amaircare 4000 HEPA CHEM air purifier to all US and Canadian customers.